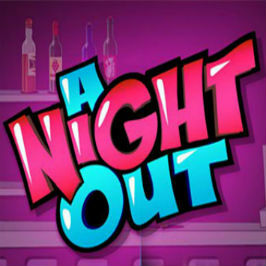 Put on your finest frock or your slickest suit and get ready to spend a lucrative night in with Playtech's A Night Out slot game, one of the premier online slot games from the well-known suite of Playtech slots. Designed to bring all the fun of a night on the town to your desktop or mobile device, A Night Out is the best way to turn cocktails into cash and disco lights into laughter all night long. In fact, by the time you've reached the end of this A Night Out slot review, we're pretty sure you'll be ready to swap gyrating hips for revolving reels. So, if you're ready to join us for a night in you'll never forget, let's take a look at why A Night Out slots could be your perfect dance partner! 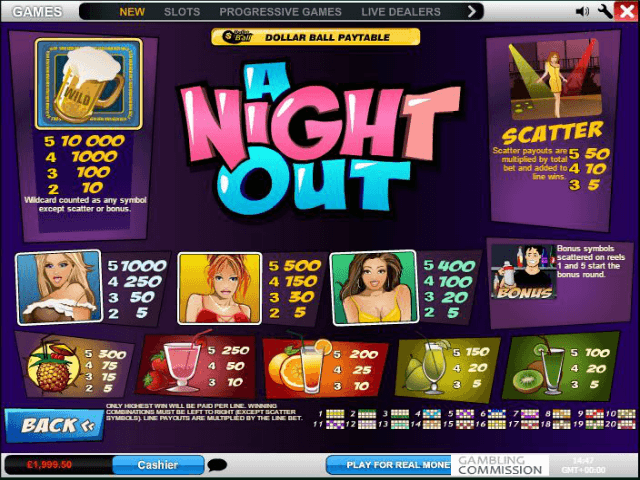 Play A Night Out Slot Demo for Free! Play A Night Out for Real Money! Like every other Playtech slot game, A Night Out slot machine has a central theme that flows through every aspect of the game. From the scenes of revelry depicted by the win symbols to the bonus rounds where drinks equal prizes, A Night Out has just as much style as substance. Perhaps the most interesting part of this online video slot is that it has a retro feel to it. The cartoon design is one that's fallen out of favour in recent years but this game has a certain charm that's less intimidating than many of its contemporaries. 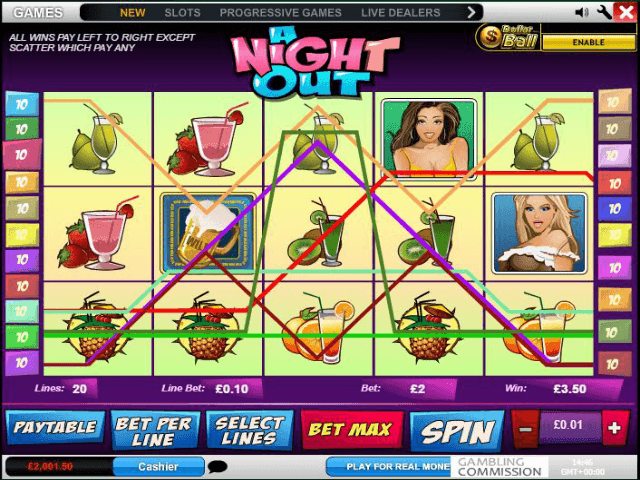 Indeed, in an online slots world where newbies are often put off by complex designs and impenetrable betting systems, A Night Out slots are a breath of fresh air. While A Night Out slot's jackpot will have you dancing for joy, you won't always bank the top payout. Fortunately, with an RTP of 97%, there are plenty of ways to boost your bankroll when you take a trip to the hottest nightclub in the online video slots world. In this game, the barman is on hand to serve up more than cocktails. Two barmen on reels 1 and 5 will set in motion a bonus round where you'll receive as many as 20 free spins on top of a multiplier worth 20X your wins. If that wasn't enough to get jumping for joy, three, four or five scatters will unlock even more multipliers. 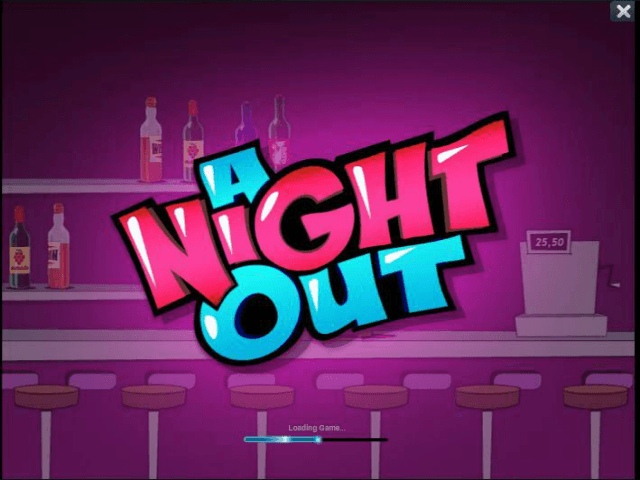 In short, if you're looking for more ways to win as well as free spins, bonuses and an entertaining interface that gets your pulse racing, you need to spend a night in with Playtech's A Night Out slot game! Share this A Night Out Review today! 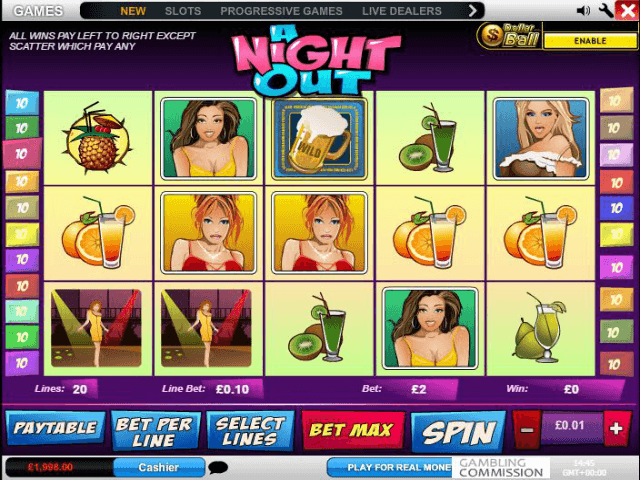 If you like A Night Out, you'll love these slot titles too!